Filippi’s is an institution in San Diego. There is a restaurant tucked behind an Italian grocery shop. 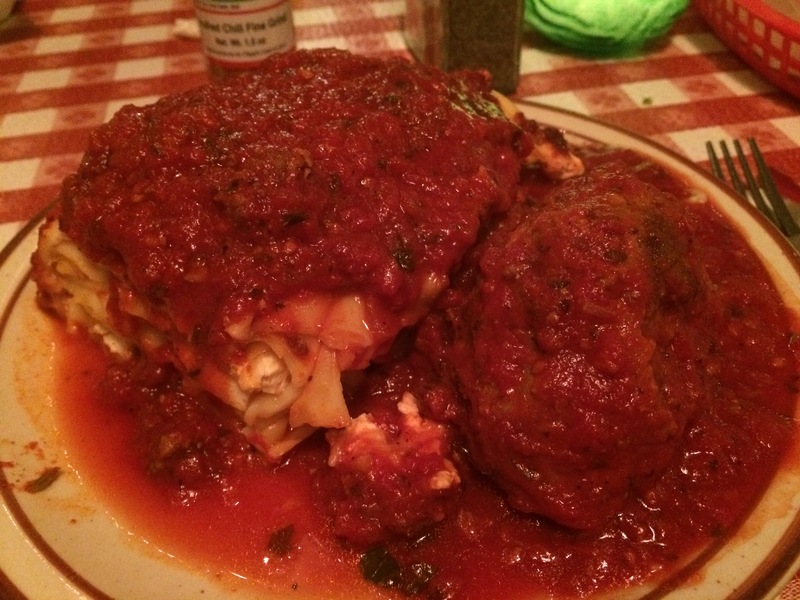 It is rumored to put out some great Italian-American favorites. Is this true? We had to find out. We found it tucked away in Little Italy of San Diego, and we went and got seated. The menu reminded me of my childhood. Growing up in New York City, there is no shortage of Italian-American places to eat and enjoy things. I was so excited, it’s been such a long time since I’ve eaten like this, living in Upstate NY and Singapore for the last 20 years or so (though Upstate NY comes close). The place had the prerequisite checkered tablecloths and waitresses that girthy in size. And the food just looked great coming out of the kitchen! At Filippi’s, you can get a combo dish. A pasta favorite and then add something like a sausage or meatballs. It all looked so good, so I went with the Lasagna and Meatballs. The Meatballs looked huge, so I needed to see! It looks like my childhood. Layers of pasta and cheese for the Lasagna, smothered in gravy. And then a Meatball the size of my fist. How about the taste? Oh, wow. Just like my childhood. It won’t blow anyone away, but it’s fresh, tangy and sweet. Just like I always remember. Next up, we shared a pizza. Now, it’s not exactly New York City style, it’s a little thick. It’s quite similar to a Sicilian pie, but round. I did enjoy it very much though it wasn’t Neopolitan, NYC style. 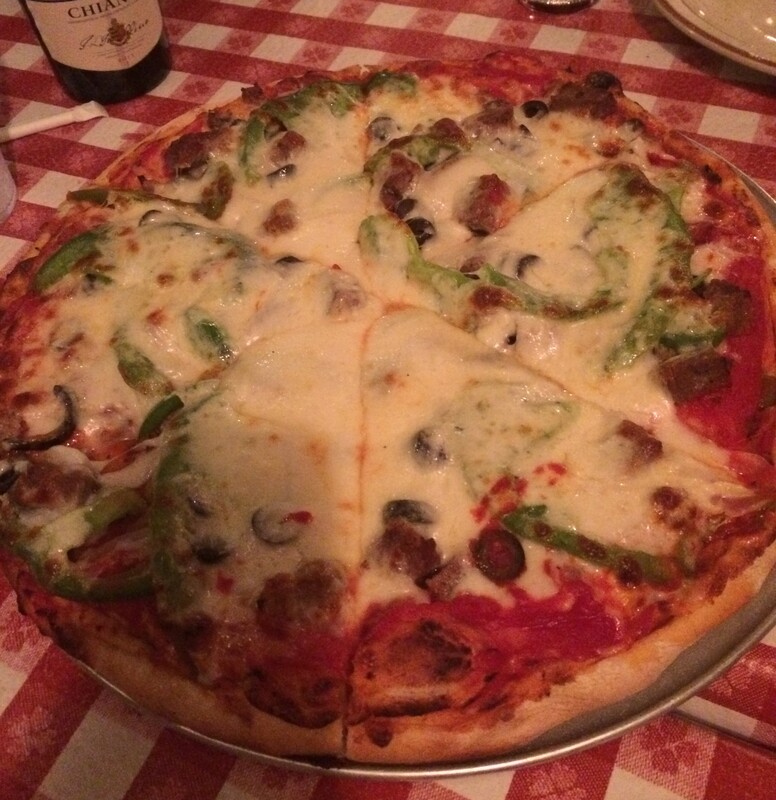 Filippi’s is definitely worth a visit, especially if you know good old fashioned Italian-American cooking. Posted in Italian, Pasta, Pizza, USATagged Italian, Pasta, Pizza, San DiegoBookmark the permalink.